Arsenal boss Unai Emery insists playing in the Premier League just two days after a European tie is ‘not a problem’ for his team. The Gunners picked up a 3-0 win against Qarabag in the Europa League on Thursday night, thanks to goals from Sokratis, Emile Smith-Rowe and Matteo Guendouzi. 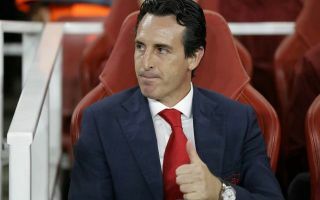 The victory ensured that Emery’s men stormed to the top of Group E ahead of Sporting Lison on goal difference and extended their superb winning run to eight matches in all competitions. Next up for Arsenal is a short trip across London to Craven Cottage to take on newly promoted Fulham, where they will be expected to pick up another win in their bid for a top-four Premier League finish. However, history has shown that teams playing in the Europa League have struggled to maintain their domestic form, with the fixture congestion ultimately proving too much for them to deal with. Despite that fact, according to the Daily Star, Emery is shockingly unwilling to use quick turnarounds between matches as an excuse for his team going forward, which is a far cry from the club’s previous manager Arsene Wenger’s stance on the issue. The Frenchman regularly bemoaned a build-up of matches in short periods of time during his tenure at the Emirates, but the club’s new Spanish boss told reporters on Friday: “For us it’s not a problem to play on Thursday and then on Sunday because we want to play a lot of matches and a lot of competitions. Emery’s stance is somewhat refreshing given the modern trend of managers blaming external factors for their team’s struggles on the pitch, but it remains to be seen whether or not Arsenal can keep up their good form in the coming weeks. Defensively they have looked shaky in the first two months of the 2018-19 campaign and Fulham will test their back-line again this weekend with their wide range of talented attacking players such as Andre Schurrle, Ryan Sessegnon and Jean-Michael Seri. That being said, the Gunners will still be odds-on favourites to pick up another important three points, to continue their new era post-Wenger, which has so far been every bit as good as supporters could have realistically hoped for.